President Muhammadu Buhari has been urged to sack the Women Affairs and Social Development counterpart, Hajia Aisha Jummai Alhassan. The Minister of Sports, Barr. Solomon Dalung, has asked President Muhammadu Buhari to sack his Women Affairs and Social Development counterpart, Hajia Aisha Jummai Alhassan over her purported support for former Vice President Atiku Abubakar 2019 presidential bid. 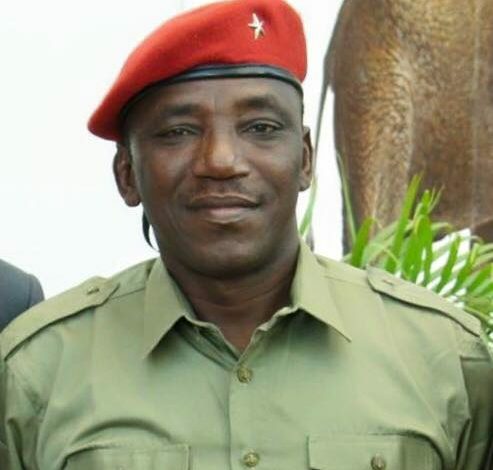 According to The Nation, Dalung made the call on the Hausa Service of the Voice of America, saying, Alhassan should quit the cabinet before working against President Buhari. According to him, Alhassan’s action is an attempt to sink the ship of Buhari’s administration with all the people on board. He said the best thing to do at the moment was to allow the All Progressive Congress (APC) candidate in Taraba 2015 governorship election to sink alone. He said: “It is not possible for us to be selling fuel and somebody will now come and say she wants to fry ‘Akara’ in the same place. That means, the person is looking for inferno and we won’t allow that. “Her comments will certainly make every Nigerian suspect that all of us in Buhari’s government are betrayers, simply because Jummai Alhassan is one of us. If she had wanted to be just to herself, she should have resigned her position.